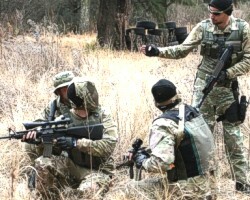 Airsoft HQ is passionate about the sport of Airsoft and has been since 2007. When first introduced to the sport we realised the potential of it and instinctively knew that Airsoft would be the new paintball. 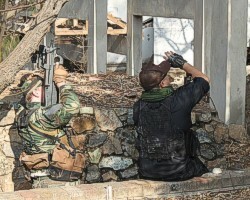 We felt Airsoft was just perfectly geared for the more mature, thinking player who was concerned with realism, not only in the equipment and weapons but also in the way the game was played. Airsoft HQ is a newly created subsidiary of MOVERS and SHAKERS Teambuilding Pty Ltd, and it was formed to provide a more complete product and service offering to the Airsoft community. Initially we saw huge value in the corporate teambuilding events for our MOVERS & SHAKERS' clients and this has proved to be extremely successful - so much so that many of our corporate delegates have decided to take up the sport on a more regular and serious basis. So we realised the link and gap in the market. 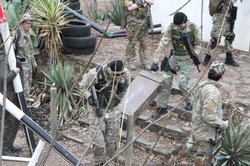 Our "Tactical Simulation" Airsoft teambuilding has been extremely popular among corporate event organisers and is also providing us an opportunity to dynamically expand the sport of Airsoft into many different corporate environments. We hope to promote the game of Airsoft in a responsible light and expand the base of players in South Africa. We started to supply Airsoft equipment and accessories to our corporate hobby players and now we are making these high quality, reputable products available to the entire Airsoft community. The response we have received to our launch of the Airsoft HQ website has been unbelievable and we have regularly had to answer the question, "What's the catch? your prices are just too cheap". There is no catch, we just want to deal fairly and gain a reputation as the premiere airsoft store and game provider in the country. We have made a conscious decision to only represent reputable airsoft manufacturers and offer reliable high quality airsoft products at affordable prices to airsoft players in South Africa. We further commit to provide an unexpected high level of service. In order to facilitate this, we have set up various payment options on our Airsoft-HQ.co.za website and offer countrywide delivery at reasonable rates with full insurance and security procedures due to the nature of the product. Currently we are representing industry leading Airsoft manufacturers such as Tokyo Marui, King Arms, RealSword, ICS, ASG and Classic Army. We want to be able to provide for the broad spectum of the needs of our target market, ranging from the beginner starting out wanting an affordable, reliable entry level rifle to the discerning Airsoft enthusiast wanting to invest in something special for his collection. Our service offering even attracted the attention of other local suppliers such as Garmin South Africa. We agreed to expanded our product offering to include a whole range of outdoor equipment all of which are of interest to the Airsoft community as well as other sporting and leisure disciplines. We aim to be a one stop shop for outdoor equipment but with our main focus on the Airsoft fanatic. 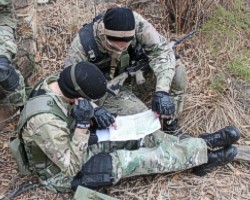 We intend to be a serious player in organising Airsoft games at quality venues and with exciting scenarios. Already due to our relationships with some of the top conferencing venues and estates in South Africa we are gaining some options all around the country. We hope to be able to put some memorable and epic battle scenarios together in Johannesburg, Pretoria and as far afield as Witbank, Nelspruit and Cape Town. Airsoft HQ has a vision to provide a top notch service to the Airsoft playing society in South Africa and the neighbouring states. We commit to providing great, reliable and reputable products, great service, fast delivery nationwide, exciting game events, quick responses to enquiries and affordable prices. ​Click here to view the Movers and Shakers website for the our diversity of Motivation - motivational Activities | Corporate team building activities & events | Activities & events | Business team building activities & entertainment | Outdoor team building activities and indoor teambuilding events | Corporate entertainment activities | Exciting adventure team building | Adventure events | Team building games | Fun indoor team building games and outdoor game events.